Are you going to Japan? Eligible for the tourist visa? Want to travel all around the country? If your answer is a big ‘Yes’ to all of those questions then you must have heard about getting a Japan Rail Pass (JR Rail Pass). The Japan Rail Pass can save you a lot of money if you plan on extensive travel and it gives you complete flexibility as you go. The JR pass is valid on JR trains, including the world famous Shinkansen (bullet trains), selected JR Buses and the JR West Miyajima Ferry. Where to buy the Japan Rail Pass? There are many online websites who provide the Japan Rail Pass in various countries. Once you make an order you will receive an exchange order voucher in the post a few days later. You will then swap this over in Japan for your actual Japan Rail Pass. You also have the option to purchase your JR Rail Pass in Japan, but it costs 10-20% more so it’s best to purchase before you go. When selecting your pass you’ll have a few options to choose from which includes, adult or child, the amount of days (7, 14 or 21 days) and which class you’d like to travel in, either Ordinary class or Green Car class. If you’re unsure which class to select then don’t worry as we have got some great information to help you decide below. Green-class cars in Japan have become very popular for travelers due to it’s luxurious nature. Ordinary class is still very highly regarded and many people are satisfied with that class. People traveling in green cars enjoy the perks of more space, peacefulness and a quiet atmosphere. One other great quality of the green cars is they are less crowded, which means more space for you and it’s easier to manage your luggage. They come with certain luxurious facilities like reclining chairs, footrests, as well as in-seat reading lights. Outside the train you can identify the green class with the phrase ‘Green Car’ written below a four-leaf clover symbol for quick and easy identification. Keep in mind that if you choose to travel in the green cars you will need to reserve seats for all you travel. This is quite an easy process and you just need to go to your nearest JR ticket office and book yourself a seat. In ordinary class it’s possible just to go in unreserved cars without seat reservations. However, I recommend that you reserve seats for of your travel where applicable, whatever the class, to ensure a smooth travel experience. How much the green car JR Pass costs more than the ordinary JR pass? The cost of a Green Class Japan Rail Pass is around 30% more then the Ordinary Japan Rail Pass. If you prefer travelling in a bit more style then it’s excellent value for money. If you are looking for increased leg room, space, and non-crowded travel experience in Japan then you must go with a Green Car Japan Rail Pass. However, if you are looking for the flexibility of boarding a train directly without making a trip to the ticket office then it might be better to go with an Ordinary Japan Rail Pass. While most days you can quickly make the reservation for the Green Car from the ticket office, during New Year, Cherry Blossom Season (first week of April), Golden Week (first week of May) and Obon (the middle of August) it’s recommended to do your seat reservations days in advance. Reservations from outside Japan cannot be made. JAPAN RAIL PASS, a joint offering of the six companies comprising the Japan Railways Group (JR Group), is the most economical means of travelling throughout Japan by rail. There are some restrictions on use; for example, JAPAN RAIL PASS cannot be used for travel on NOZOMI and MIZUHO trains on the Tokaido, Sanyo, and Kyushu Shinkansen lines. Before buying be sure to check that your destination is covered. 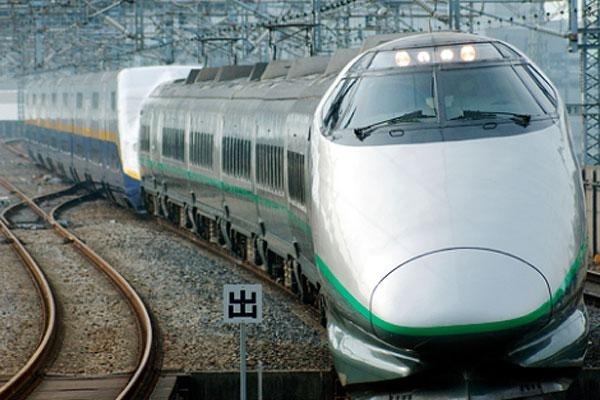 Regarding the decision of choosing between the Green Car Japan Rail Pass and the Ordinary Japan Rail Pass, it completely relies on your needs and travel requirements. If you want maximum flexibility and less cost then the Ordinary Japan Rail Pass is for you. However, if cost is not a concern and you want to travel in style with more space and a quiet atmosphere, then the Green Car Japan Rail Pass will allow you a luxurious travel experience. Have a great trip to Japan!